2 Mix together the tomatoes, spring onions, feta, olives, capers and garlic. 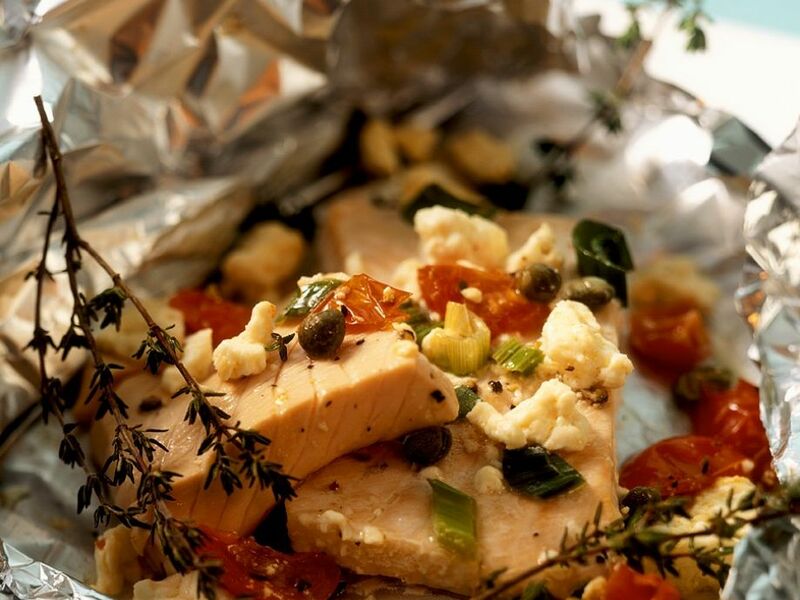 3 Cut the fish in to 8 equal portions and place two pieces on each piece of foil. Divide the vegetable-cheese mixture between the fish parcels, top with the thyme, season with salt and ground black pepper, drizzle with some oil and close the foil. Place on a baking tray and bake for 20-25 min. 4 Remove from the oven, open the foil and server immediately.